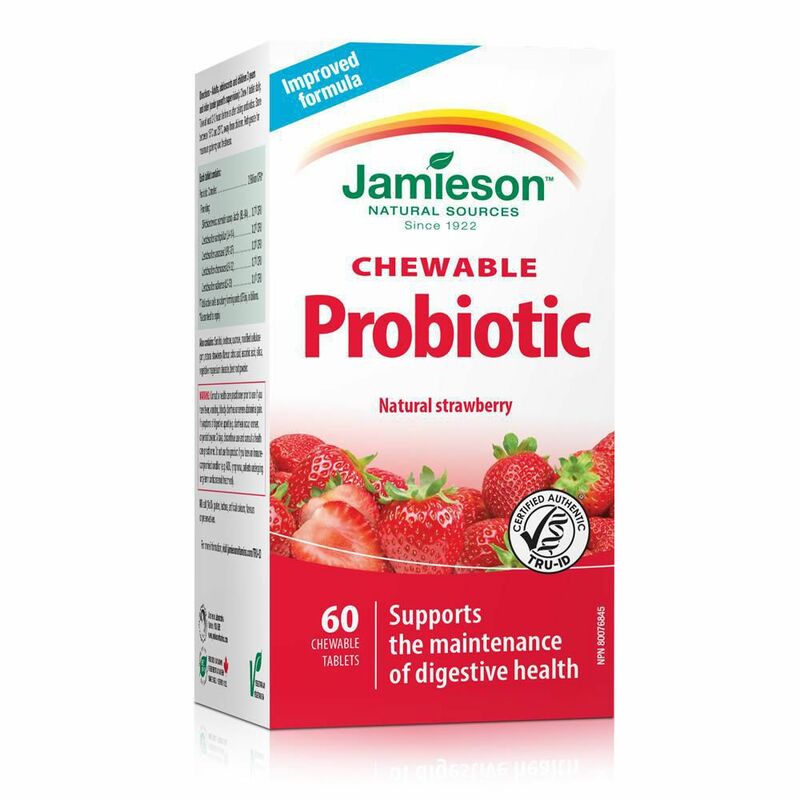 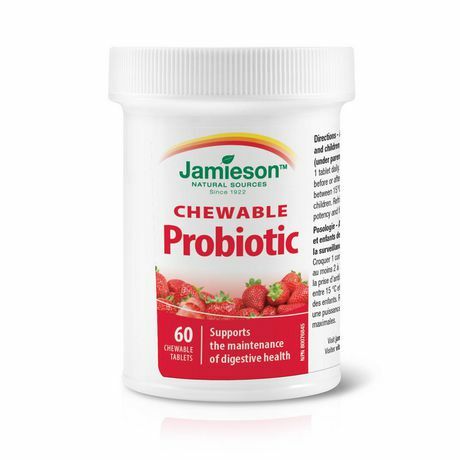 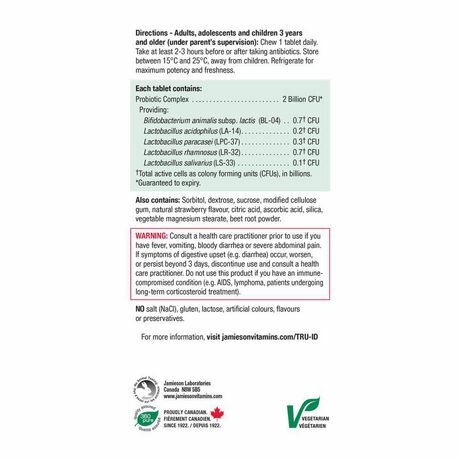 Jamieson Chewable Probiotic is a great tasting tablet that provides support for the maintenance of digestive, intestinal and gastrointestinal health. 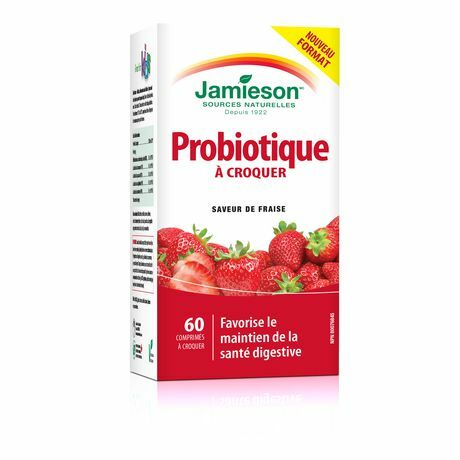 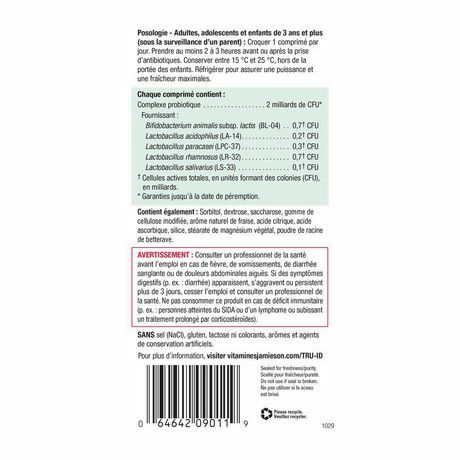 "Probiotic Complex 2 Billion CFU consisting of: Bifidobacterium animalis subsp. 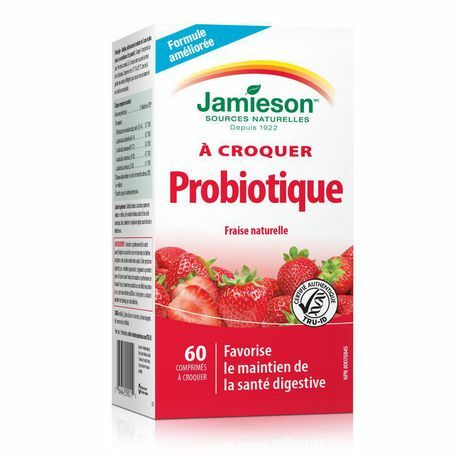 lactis (A026) 0.7 x 10⁹CFU, Lactobacillus rhamnosus (A119) 0.7 x 10⁹ CFU, Lactobacillus paracasei (A234) 0.3 x 10⁹ CFU, Lactobacillus acidophilus (A118) 0.2 x 10⁹ CFU, Lactobacillus salivarius (A149) 0.1 x 10⁹ CFUAlso Contains: Maltodextrin, sorbitol, sucrose, cellulose, natural strawberry flavour, citric acid, ascorbic acid, vegetable magnesium stearate, silica, beet juice concentrate.NO salt (NaCl), gluten, lactose, artificial colours, flavours or preservatives."